Finding the perfect Father’s Day gift for Dad doesn’t have to be a struggle each year. There are plenty of great ideas out there for the Dads who are passionate about boating. 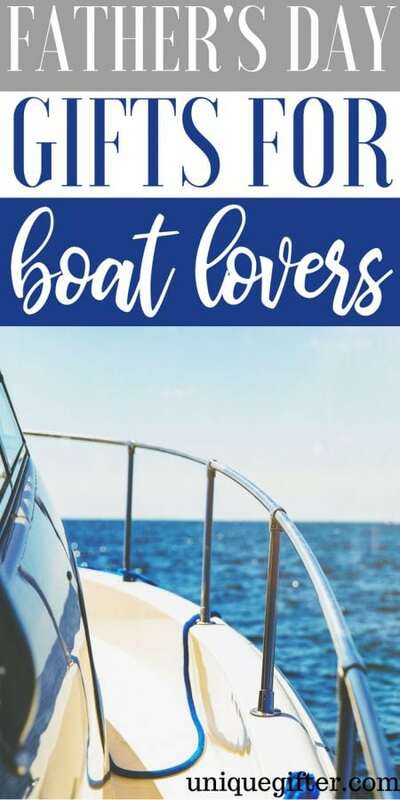 If you need some ideas to kickstart your gift shopping this year, check out these Father’s Day Gifts for Boat Lovers. 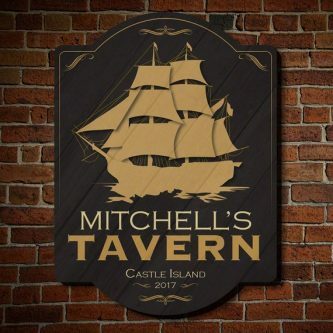 Give Dad’s home decor an upgrade with this Shipyard Custom Wooden Sign. 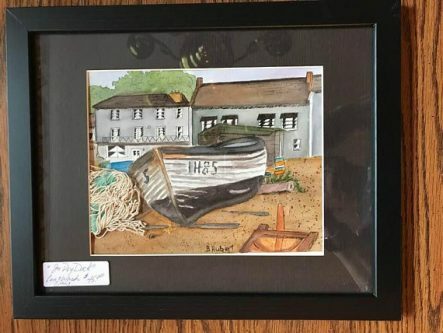 This Framed Dry Dock Painting is a simple piece that can add that special touch to any room that it is in. 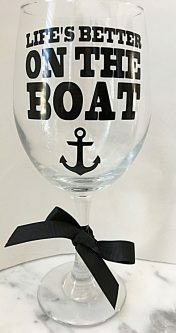 Dad will have no problem adding this unique Wine Glass to his collection. 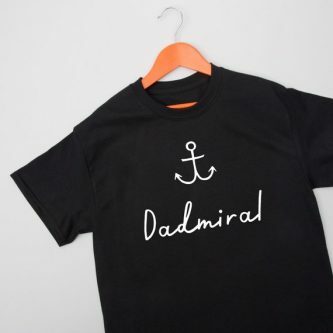 Boat-loving Dads will definitely get a kick out of this “Dadmiral” T-Shirt. On the hunt for a super simple Father’s Day gift this year? 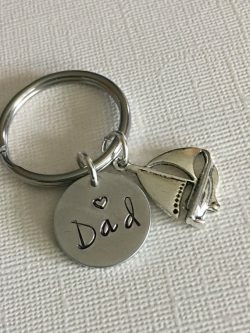 Gift Dad this stylish Keychain fit for any boat lover. 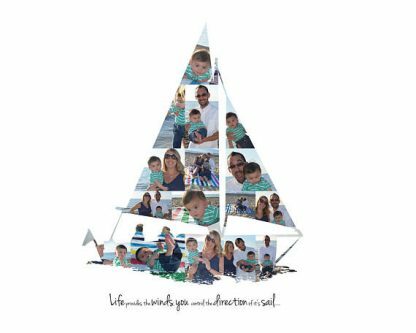 This Sailboat Photo Collage is sure to be a standout piece of art in Dad’s home. There is a Greeting Card out there for every occasion, hobby, and interest. 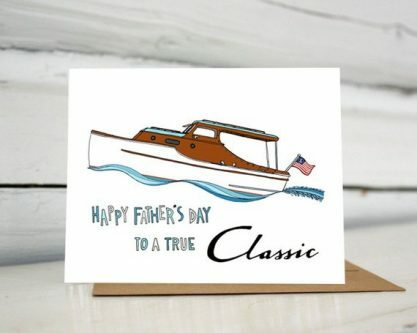 Dad can even get a card that showcases his love of boats. 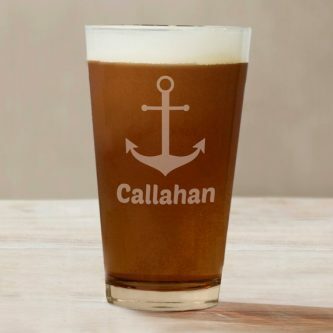 This Custom Engraved Beer Glass is sure to be Dad’s go-to when he is ready to sip a nice cold beer. 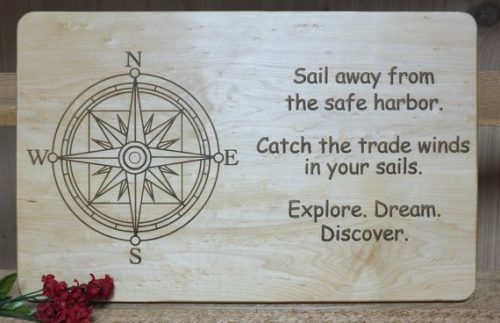 With the help of this Engraved Cutting Board, Dad can be inspired as he chops away in the kitchen. 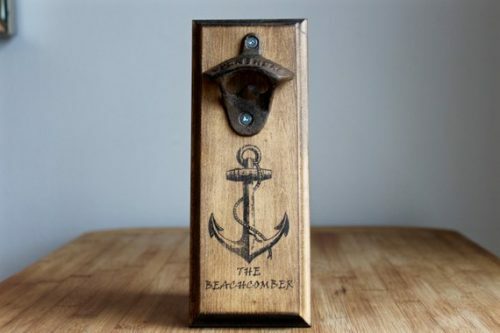 This Wall Mounted Bottle Opener is not only super handy, but it makes for a great piece of decoration as well. For those passionate about boats and collector’s items, this Model Rowing Boat is definitely something they can appreciate. 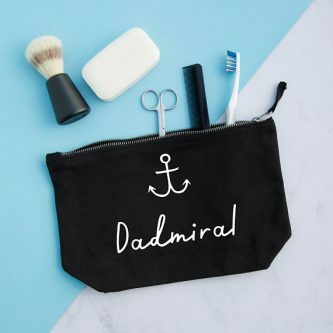 Dad can tote his small toiletries and other items in this super convenient “Dadmiral” Wash Bag. 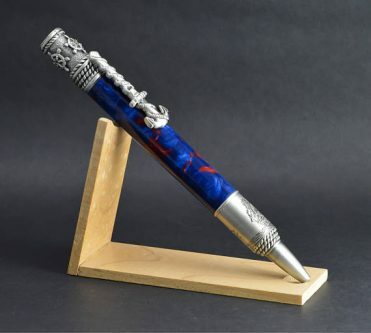 This high end handcrafted Boat Lovers Pen is a bit of luxury perfect for the boat-loving Dad. 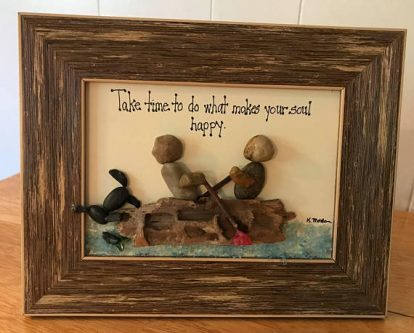 Pebble Art is a super unique piece of home decor, that can be personalized just for Dad. 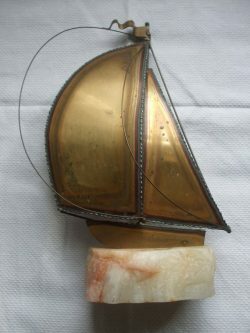 Spice up Dad’s home decor with this beautiful Vintage Boat Wall Decor. 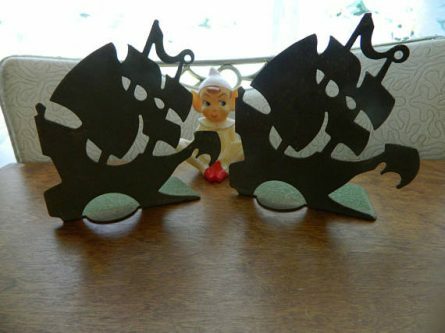 If Dad has a lot of books, and really enjoys boats, he will definitely appreciate these Rustic Sailing Ship Bookends. 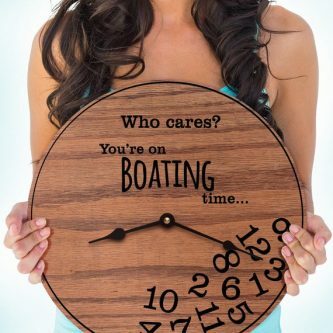 There’s nothing like the feeling of a good laugh, and this funny “Boating Time” Clock is sure to make Dad chuckle. 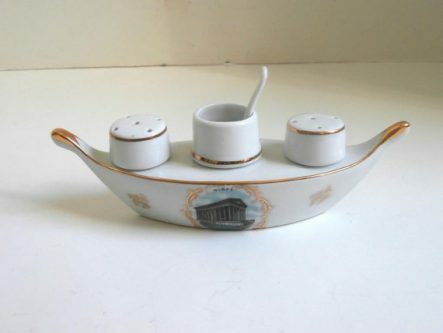 This Vintage Porcelain Server Set is great for boat lovers who love collecting vintage items. 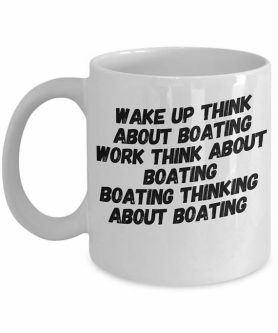 This Coffee Mug is seriously hilarious, but boat lovers will totally understand. 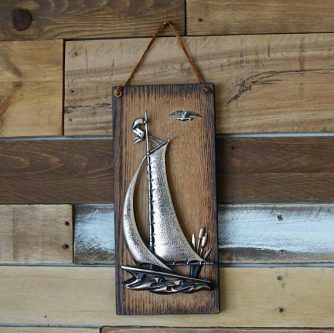 If you are looking for a gift that is totally original, you need not look any further than this handcrafted Driftwood Art Boat Shed Sculpture. Dad will definitely appreciate the love and thought that went into selecting the perfect Father’s Day gift for him. You can certainly make this a Father’s Day that Dad will never forget.